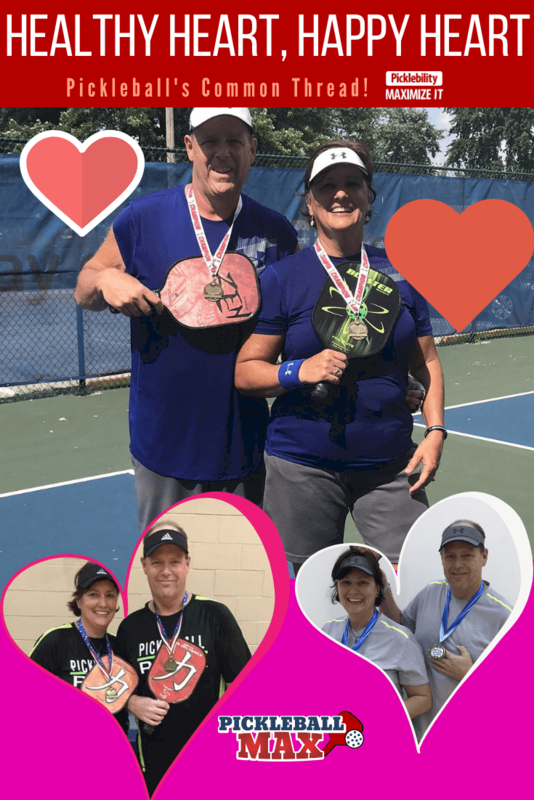 February is a particularly meaningful month for Middletown, Ohio native and, now pickleball-lover, Tonnie Reimer. First, as it’s National Heart Month, February serves as her recurring reminder of the prudent decision she made to get herself immediately to the nearest hospital after incurring “mild chest pain that radiated to her jaw” approximately 4 years ago. Secondly, February – and the 14th in particular – now serves as a reminder of her engagement to the love of her life, Curt – and with the pants (you will see them in the video below), how could she forget? First, some important background information: According to the CDC, approximately 610,000 people die of heart disease in the United States every year — which accounts for 1 in every 4 deaths. Heart disease is the leading cause of death for both men and women. Every year about 735,000 Americans have a heart attack. Of these, 525,000 are a first heart attack and 210,000 happen in people who have already had a heart attack. According to the CDC, heart attacks have several major warning signs and symptoms, including chest pain or discomfort, upper body pain or discomfort in the arms, back, neck, jaw or upper stomach, shortness of breath and nausea, lightheadedness or cold sweats. As Tonnie alludes to in the interview, “Don’t mess around” if you have these symptoms. It could save your life. Watching your weight, abstaining from smoke, controlling your blood pressure & cholesterol and physical activity — such as playing pickleball — are lifestyle choices that minimize the risk for heart disease. Four years ago Tonnie drove herself to the hospital because of “mild chest pain that radiated to her jaw.” A week later she had open-heart surgery. Watch the following video and listen to Tonnie’s remarkable story of her heart attack, rehab and how she is now leveraging pickleball to stay physically active — some four years later. With the CDC stating that “for substantial health benefits, adults should do at least 150 minutes (2 hours and 30 minutes) a week of moderate-intensity aerobic activity,” Tonnie is surpassing these guidelines by doing 6-9 hours a week playing pickleball. In her words, “pickleball is so much better than walking on a treadmill.” I can’t argue with that, Tonnie! Pickleball — as many of that play can attest to — is such a tremendous activity to stay physically active, reduce stress, build relationships and keep one’s mind sharp. In Tonnie’s case, it is keeping her healthy! So there you have it — healthy heart, happy heart! 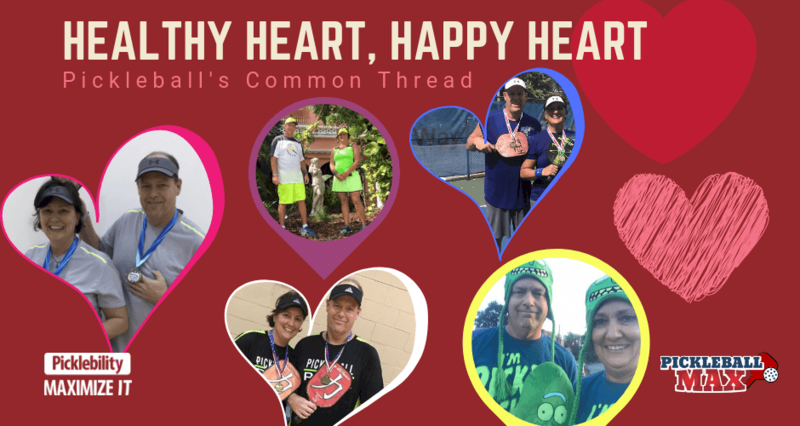 If you have a similar story of how pickleball has impacted your life from a health perspective — or if you, too, have met the love of your life on the pickleball courts — please share below in the comments. See you on the courts! As a nurse and as Tonnie’s daughter, I love that she has found pickleball. She is religious about her cardiac exercise because she enjoys it so much! I share what I know about the sport with patients I meet hoping to motivate them as well. Thanks for sharing, Mallory. I have really enjoyed getting to know your mom. She is certainly dedicated and loves the sport and camaraderie of it!